Buford was a good dog. He passed away on April 12. 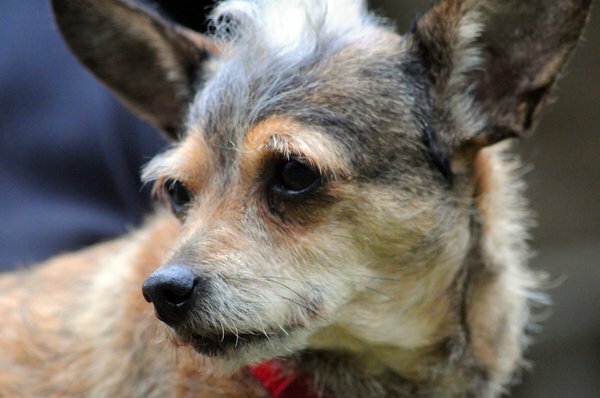 He was a loving companion to Miss Jeanette (Justin's mom) and he will be greatly missed. Buford was a rescue dog adopted by Jeanette when he was about 5 or 6 years old. For nine years he had the best life a dog could have. He chased the squirrels and kept the boogie man away. He was animated, clever, and smart. A friend sent this short essay. Dog lovers will understand. If you, too, think its "Just a dog," you will probably understand phrases like "Just a friend," "Just a sunrise," or "Just a promise." 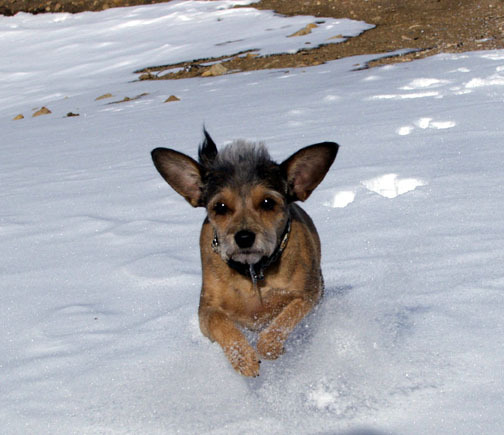 "Just a dog" brings into my life the very essence of friendship, trust, and pure unbridled joy. "Just a dog" brings out the compassion and patience that makes me a better person. Because of "Just a dog" I will rise early, take long walks and look longingly to the future. For me and folks like me, it's not "Just a dog." It's an embodiment of all the hope and dreams of the future, the fond memories of the past, and the pure joy of the moment. "Just a dog" brings out what's good in me and diverts my thoughts away from myself and the worries of the day. I hope that someday people can understand it's not "Just a dog". It's the thing that gives me humanity and keeps me from being "Just a man or woman." Recently we had our town elections and we have a new mayor and new council members. 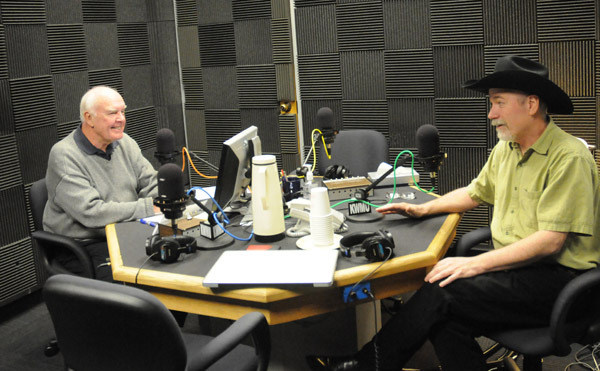 It will be interesting to see how the next few years develop, but for now it is a new day in La Veta. Talk about new days. I love waking up in La Veta. Each morning seems magical. I took this photo just a few minutes ago from the back deck. Is is possible to tire of this beauty? Will I ever take it for granted? People often ask if I ever get tired of my work - how can I manage it all? The truth is, I'm just like most folks. I do get weary and tired, but deep down I really love what I do. Therefore, it is not difficult to take a deep breath and head back into the fray. One thing that keeps me going is the beauty of this valley. What keeps you going? Suzanne Marshall played a major role in my development as a quilter. In 1991 when I met her, she was already well-established and her quilts had won many awards and been widely published. Her works are beautifully hand stitched and she has two quilts in the National Quilt Museum that won Best Hand Workmanship at the AQS shows. Two weeks ago she won Best Hand Workmanship at the AQS show in Lancaster, PA.
She does needle turn applique and almost always outlines her applique with embroidery stitching. She also uses embroidery to add details to the work. It is very rare that she does any machine quilting so 99% of it is all done by hand - and she quilts without a hoop or a frame. During my recent homecoming trip to St. Louis I had the opportunity to visit with Suzanne and her husband Garland. I'll be working on an article about Suzanne for The Quilt Life so look for that in an upcoming issue. Suzanne loves recreating images from very old engravings, tapestries, and other design sources - especially if they have critters. She gets even more excited if the critters are unusual or odd. She said, "I love it when my quilt makes me laugh while I'm working on it!" 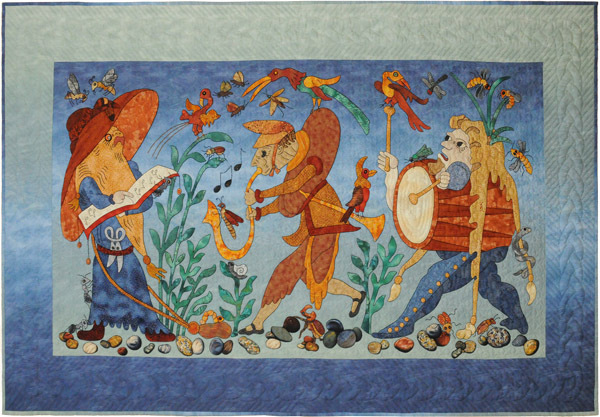 The designs for her new quilt "The Musicians" were in a volume of illustrations from 1565. 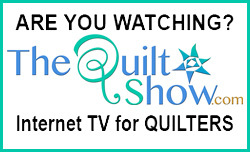 Watch her on Episode 203 of The Quilt Show. I'm enjoying my time in St. Louis. 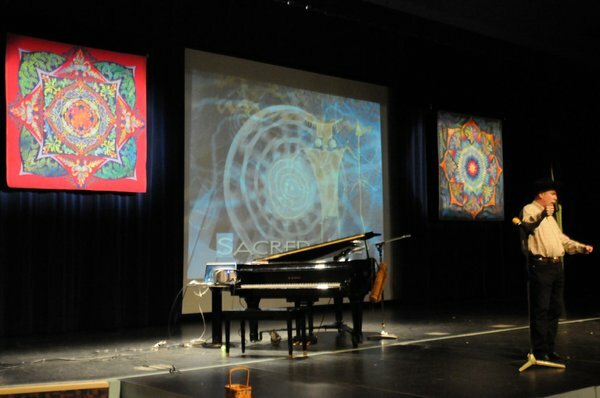 Friday night I presented my "Homecoming Concert" to a near sellout crowd of about 550 enthusiastic quilters and friends. The concert was promoted and presented by my first quilt guild - the Thimble and Thread Quilt Guild of Greater St. Louis with a membership of around 200. 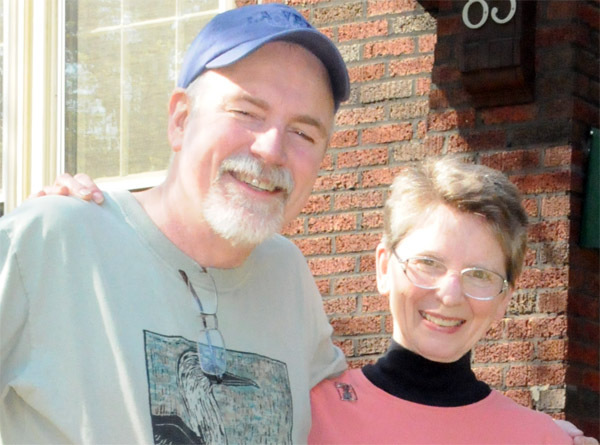 They meet the 2nd Friday of each month at the Webster Groves Presbyterian Church. This performance, however, was offered to quilters region wide so the meeting was moved to the Lindbergh High School auditorium. A group of volunteers set up a table with loads of hand-dyed fabric and other goodies while another group helped set the guild's new raffle quilt. The crowd arrived early, all wanting the best seat, so when the doors opened at 7pm, the lobby was already swarming with concertgoers. I was honored that so many people came out and I enjoyed recanting my stories, playing my music, and I assembled a visual montage of just about every quilt I ever made. A huge thank you goes out to Thimble and Thread for being their from the start. Thanks to my other St. Louis guilds (Circle in the Square and St. Louis Art Quilt Alliance) for also guiding me along. Thanks to all the guilds in the region for having hosted me when I was getting my feet wet doing presentations. Thanks to everyone who came out in support for this homecoming concert. 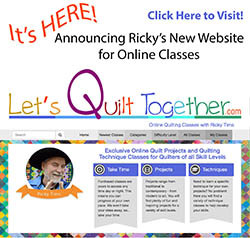 The encouragement and support of those members during the formative years of my quilting experience is a significant reason why I'm where I am today. They could have ignored me, shunned me, misunderstood me, but they did anything but that. They embraced me, taught me, and kept me under their wing while I was learning to fly. They didn't shake their heads at my unorthodox methods. 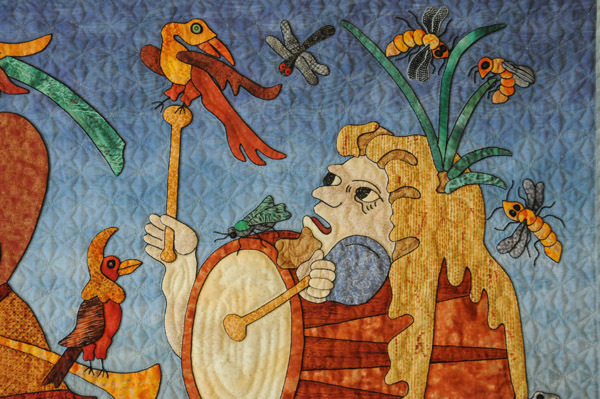 Instead they knew and celebrated the fact that quilting generates a wide range of styles and methods. I was once a newbie. I was embraced and encouraged. The quilt police stayed away and a group of quilting cheerleaders cheered me on. Are you an encourager? Do you seek out the newbies and cheer for them? 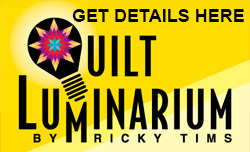 Who will be the next generation of quilters - teachers - award-winners? Will you play a part in their success? The quilters in St. Louis certainly played a huge part in my life.